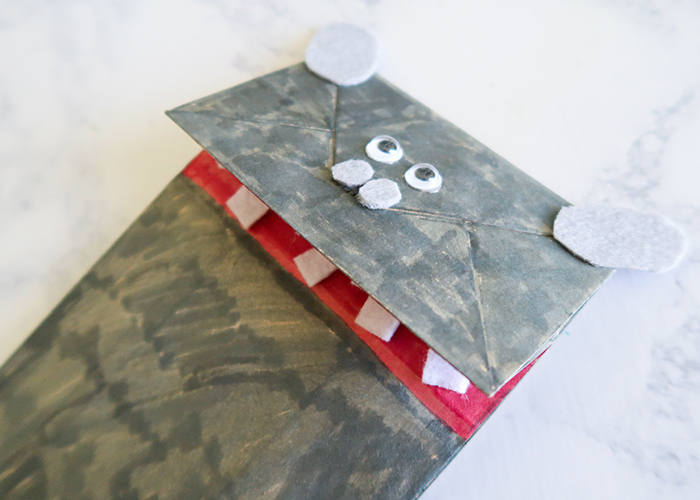 I’m so excited to show you how to make this Paper Bag Hippo Puppet Craft today! 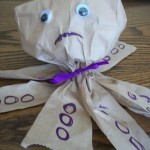 My kids absolutely love puppets, and you don’t need a lot of supplies to make a whole collection. 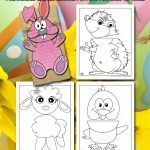 This is great for a class animal unit or just a fun way to keep the kids busy! 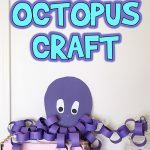 This craft can also be made with substitutions for a lot of the supplies, so it’s a great “use what you have” kind of project. Here’s what you’ll need. 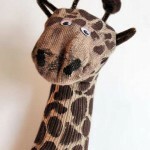 You might also like our giraffe sock puppet craft! 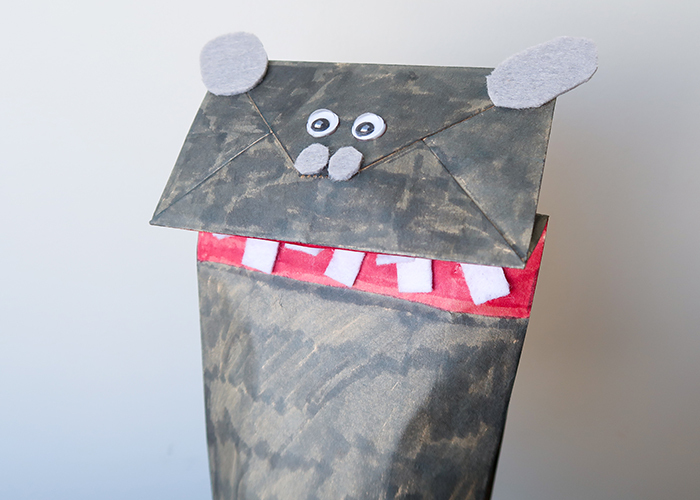 Gray and white felt or construction paper. Gray and pink markers, crayons, or paint. I had markers handy, so that’s what we used. 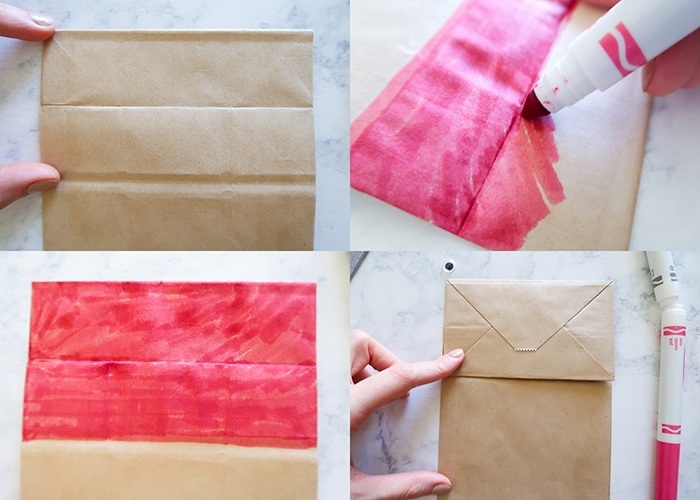 Start by looking at your paper bag and noticing where the bottom folds over the bag. The bottom of the bag is going to be our hippo face, and where the bottom folds over the rest of the bag will be the hippo’s mouth. Start by flipping the bottom flap up and coloring the underside of the flap all pink like shown. When you put the bottom back down, you shouldn’t see any pink. This is the most time consuming part of the project. 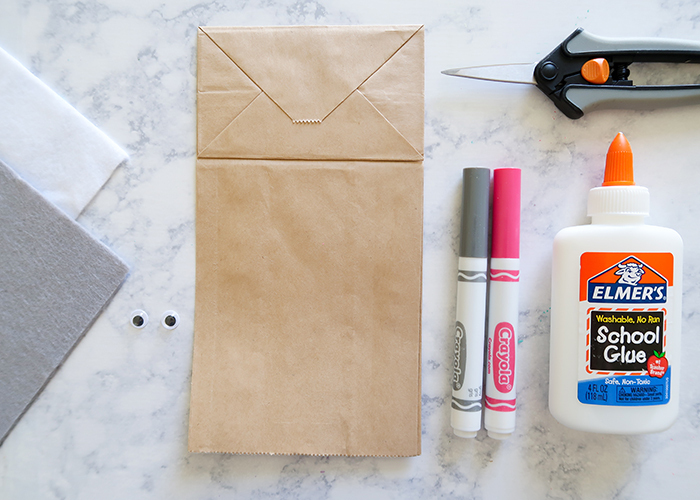 Now you’ve going to color the rest of your bag gray! When that’s all done and dry, go ahead and glue your google eyes onto the center of the head, close together. 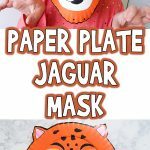 Next form your felt or construction paper, you’re going to cut out two large gray ovals, two small gray circles, and about 10 medium white rectangles. These are our hippo’s ears, nose, and teeth! 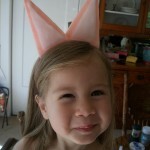 Glue the ears onto the corners of the head, and then glue the nostrils right under the eyes. 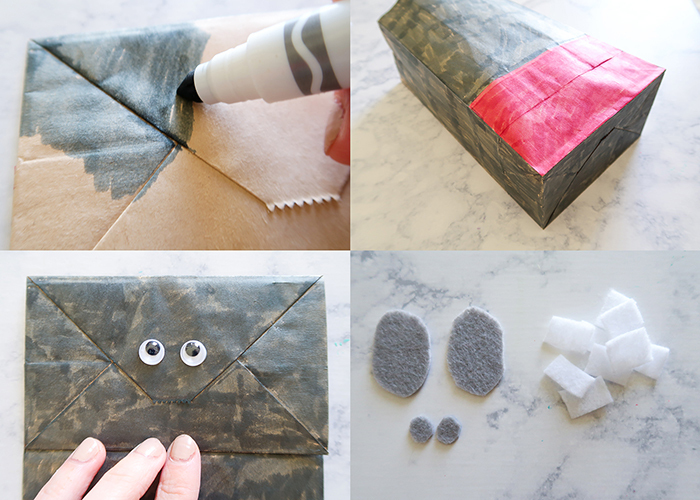 When the glue has dried completely, lift the flap up so you can see the mouth, and glue on the teeth like shown. You don’t have to be perfect, as hippos often have very crooked teeth! Let that glue dry completely as well. 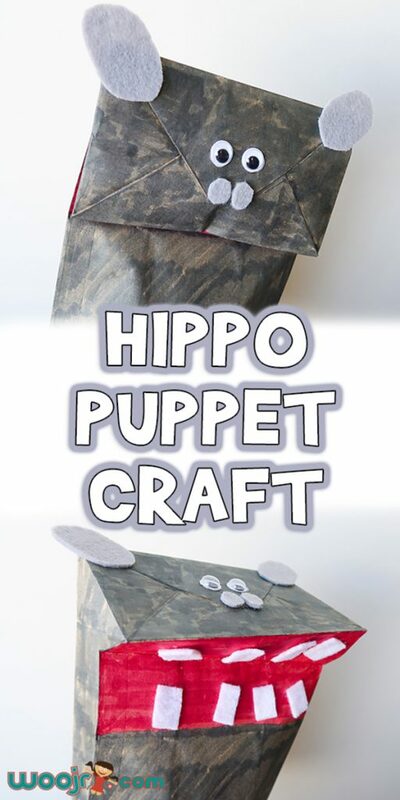 And now your hippo puppet is all done and ready to play with! This guy has quite the unique personality! The area things about this project is that everyone’s hippo will look a little bit different. 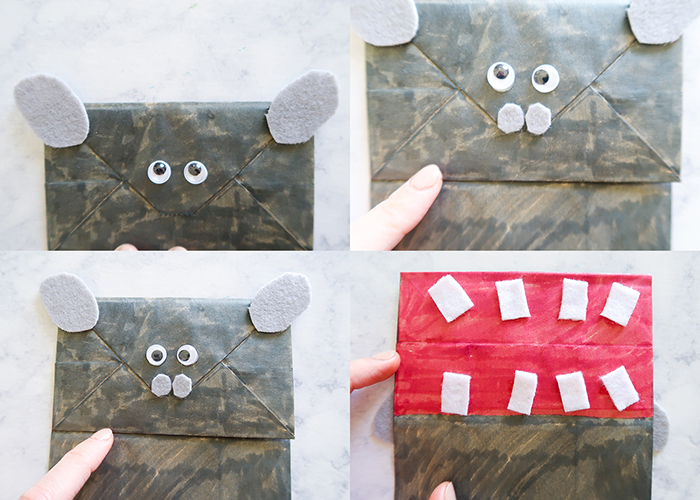 I hope you have fun making this Paper Bag Hippo Puppet Craft!